Alan Moore has a compelling metaphor about the way that consumers and citizens are starting to behave towards companies and institutions now that the Net is making it much easier to find out what other people are thinking - and say what you think too: "once you have stormed the Bastille, you don't really want to go back to your boring day job." What happens when the both the supply and demand structures that have served us so well over the last 50 years start to simultaneously decouple from our most recent past? 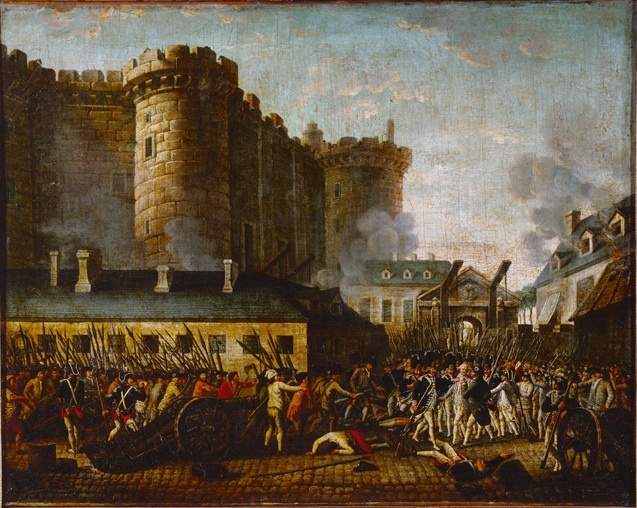 Well, we get a revolution or what could described as a gradual evolving historic act of liberation And, history tells us that once you have stormed the Bastille, you don't really want to go back to your boring day job. In this instance, the day job is the consumer as an uninformed, unconnected, passive, ignorant, non-participative, controlled individual that will happily consume what is put in front of them. But it's not only that that has changed, traditional media is unbundling whilst the structural nature of consumption of information and content are in a state of flux. Significantly, we are entering a world where content will be increasingly delivered through internet and internet-mobile-protocol-based networks that are non-linear, on-demand and entirely self-scheduled. In that world, the viewer - not the broadcaster - whoever that may be, will decide what is consumed, when, and how. More on the Bastille and image credit.